Growth Hacker Marketing | Photography, Storytelling, & Growth Marketing by Matthew Woodget. If you are over the age of 27 and want to feel like an underachiever read this book. Ryan Holiday takes you on a journey from being VP of Mrketing at American Apparel,where apparently his days started quite leisurely and involved a steam room, to the bleeding edge of business growth. 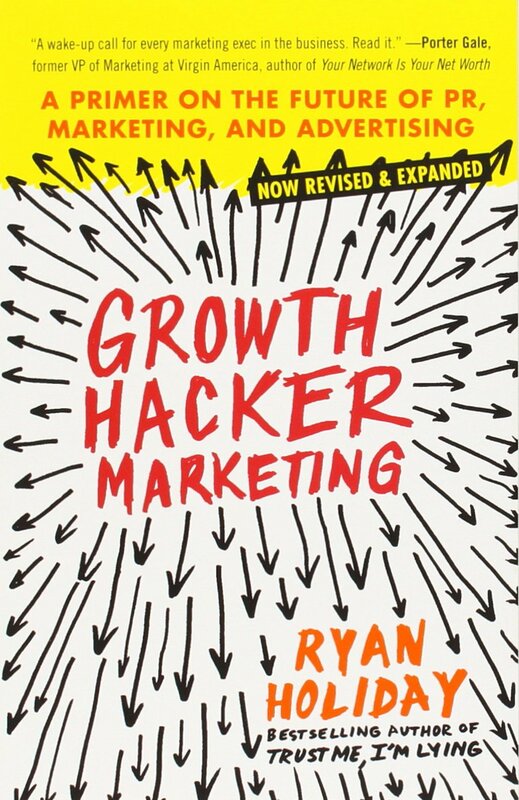 The book is more about the mindset of Growth Hacking than anything else. And there is where it shines. Whilst many of it’s explicit examples are squarely targeted at the world of start ups the lessons are universal. Holiday cracks open marketing with an analytical bent, challenges traditional thinking, mixes in an accelerated view of product development, product market fit and how to do so with a questioning, scientific mindset. At it’s crux growth hacking is about using all tools at your disposal to grow a business. Marketing traditionally has been about generating future demand. And gets hung up on intangibles like awareness and branding. Growth Hacker Marketing brings the demand generation into the now and the modern technology platform of the web and social help facilitate that in ways that don’t look or feel like traditional marketing. But they still grow the business. It’s a fun read, packed full of good references and examples. Additionally Ryan goes to the additional mile to share his recommendations for other great reads and next steps to get you on your way.